This article is a really good examination of the real difficulties every scientist faces in his attempts to produce good data. Yes, these folks muffed it and they should have done much better, but that it happened at all is a reminder that most data gathering starts of with a ton of mistakes. Then you figure out what works and all is good. Let me share a story with you. When we assay for copper values in a strange piece of rock, we send it to the lab and a value comes back. All good if the chemistry is something the lab is used to. However imagine instead that we are dealing with calcite which is a pure copper sulfur mineral. This takes a long time to digest. When it happened to me, I had sent in three samples and the related grades were .55% .56% and .55%. good enough but not important enough. Yet I spotted immediately that there was no meaningful scatter which told me that the lab process had cut off too soon. When they were done, I got well scattered grades, all over one percent. The immediate take home for copper is that real ore is not been properly identified easily. Actually any black rock could be suspect. I would in fact suggest that the major risk lies in not getting the data rather than an actual false positive. False positives are followed up on while false negatives are generally ignored. (NaturalNews) A recent scientific paper that concluded imported rice was heavily contaminated with lead has been suddenly withdrawn by its author. Natural News has confirmed from the author, Monmouth University Chemistry Professor Tsanangurayi Tongesayi, that the paper is "recalled until further notice." The paper, announced with great fanfare at the American Chemical Society last week, was also accepted for publication in the Journal of Environmental Science and Health, Part B: Pesticides, Food Contaminants, and Agricultural Waste. It found that some sources of rice, including rice from China, were contaminated with as much as 12,000% more lead than allowed under current safety limits for children. The story was widely published across the media, including Natural News. Its findings, after all, were consistent with many other findings about the contamination of foods grown in heavily polluted countries. So no one thought the conclusions might be in doubt. When we hear about "scientists" conducted metals analysis in foods, we tend to think they know what they're doing, right? But the authors themselves discovered worrisome discrepancies when they sent the samples to a third-party lab for verification. According to an email acquired by Natural News, the results from this third-party lab showed all sub-ppm levels of lead, not the much higher numbers the Tongesayi team had reported. Why the Tongesayi team did not conduct third-party lab verification before announcing the results has not been explained. What has been revealed, however, is that the original lead results were determined through the use of an "XRF" spectroscopy machine which uses X-Ray Fluorescence to profile the elemental composition of the sample. The brand of the XRF machine used in this analysis was "Innov-X," from Olympus, according to information received by Natural News. Click here to see an overview of the products. We measured the levels of lead in rice that is imported into the U.S. using XRF and the data was validated using a NIST1568a reference sample. Lead levels ranged from 5.95 +/- 0.72 to 11.9 +/- 0.6 mg/kg and the calculated Daily Exposure amounts were significantly higher than the Provisional Total Tolerable Intakes for all age groups. Translation: What they're basically saying is that they found lead at levels of 6 to 12 ppm in rice. But as you'll see below, these numbers are completely wrong. Here's another clue worth considering in all this. In 2012, Consumer Reports published results of its lead analysis of 223 brands of rice. They also measured arsenic and cadmium in rice. If you click the link above, the chart you'll see is shown in parts per BILLION. These numbers, in other words, are 1/1000th the value of numbers given in parts per million. As a reminder, 1000 ppb = 1 ppm. If someone asks you, "Would you rather each 500 ppm of lead, or 500 ppb of lead?" the correct answer is ppb. The Tongesayi team was announcing that it found rice to contain high ppm of lead. But the Consumer Reports team -- which of course has decades of experience running tightly-controlled lab analysis activities -- was only reporting lead at ppb in rice. Somebody is off by a factor of 1,000. That's three orders of magnitude. And I'd bet my favorite pair of hiking boots it's not Consumer Reports. Personally, if I were going to put my name behind test results, I would choose a technology such as ICP-MS: Inductively Coupled Plasma Mass Spectrometry. Also just called "ICP Mass Spec" for short. ICP-MS machines are made by several companies such as Agilent, Perkin Elmer, Bruker and Thermo. They are capable of detecting trace elements down to parts per TRILLION, with astonishing accuracy and repeatability. The really freaking thing is that they can measure all the elements of a given sample simultaneously. So in 2-3 minutes, you get a full read-out of everything in the sample: lead, cadmium, mercury, magnesium, iron... and if you're really lucky then some barium and thallium, too. Running ICP-MS machines, however, is tricky business. For starters, you need a ridiculously air-tight clean room with active HEPA filtration, or the trace elements in microscopic pieces of dust in the air will throw your results. ICP-MS also typically uses a nebulizer to atomize a liquid solution, and because of the extreme precision of the ICP-MS components, this solution can contain a maximum of 0.2% TDS (dissolved solids). This means solid food samples must be digested, then diluted, and then re-run through the analyzer if the dilution level is still not sufficient to bring the element to within the window of detection by the machine. ICP-MS is expensive and complicated. And it uses a lot of gas. You'll burn through dozens of gas tanks of argon gas each year. (Well, not actually "burning" them. The gas is harmlessly exhausted after each analysis.) And if you want to run so-called "collision cell" quantitative elemental analysis -- which offers far more precision than standard ICP-MS -- you might end up using other gases such as helium or even nitrogen. ICP-MS isn't cheap, either. You need to build out a lab room that can keep the machine free of contaminants. Just the room itself might easily cost you $200,000. Most of these machines have a plasma torch that needs 240V electricity hardwired in (because it takes juice to turn solids into their plasma state, right? ), and with the auto-diluters, auto-digesters, analysis software and everything else you need to run these systems, you can easily spend $500,000 - $1 million. And that doesn't count the salary and the health insurance benefits of the lab technician you'll need to hire to run the whole thing... the very same guy who will quit right in the middle of your urgent batch run that needs to be done immediately. But of all the trace element detection technologies available today, I have personally never heard of anyone using XRF as the sole machine for announcing scientific results of heavy metals contamination for food staples. #1) The machine is incorrectly calibrated. These machines must be frequently calibrated against samples with known quantities of detected elements. If they are poorly calibrated, they will obviously produce incorrect results. #2) Contamination during sample preparation. Whoever was preparing the rice samples was likely using some sort of acidic solution to "digest" the rice into a testable liquid. This process of sample preparation provides a multitude of opportunities for contamination, including the acidic solution, lab ware used in the preparation, ambient lead in airborne dust, the handling of samples by lab technicians, etc. #3) The machine's sampling area was somehow contaminated with lead. I'm not sure what technology this XRF machine uses to hold the sample being tested, but it is possible that the same machine had previously been used to test something such as an actual piece of lead... and somehow enough lead remained in the testing instrument to give off high ppm with all subsequent samples. This could be determined by testing the unit with a known quantity of ultra-purified laboratory water known to contain no lead whatsoever. If the reading still shows high lead, then the problem is the instrument. 4) Altered data. You can never discount the possibility that someone involved in the research sought to alter the numbers in order to fit their desired outcome. I'm not saying this was the case with this rice research, but it has happened before and must always be considered as a possible explanation. So that's a long-winded way of saying the "lead contamination in rice" paper has been retracted, and it was pulled because the people who did the study realized their machine was producing erroneous results. So, on one hand, you could say they are doing the "responsible thing" by retracting this paper themselves, but on the other hand this is a pretty big whopper to make in a science journal and a public symposium of the American Chemical Society. Importantly, the retraction of this paper does not mean rice from China isn't contaminated with lead. 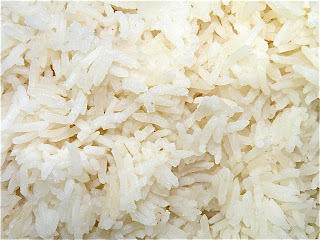 There is lead in rice from China, but as Consumer Reports shows, it's most likely in the ppb range than ppm. Obviously, we're going to continue to investigate this issue and work to bring you more news (and our own lab results) about metals contaminants in food. For now, just remember that not every published "scientific" paper is accurate. There are retractions every single day, and even when people don't intend to make mistakes, they often get caught up in them anyway. you said: "calcite which is a pure copper sulfur mineral." since when??? Calcite is calcium carbonate. Did you mean chalcocite or covellite? Cottage Cheese and Flax Seed Oil Cures Cancer?